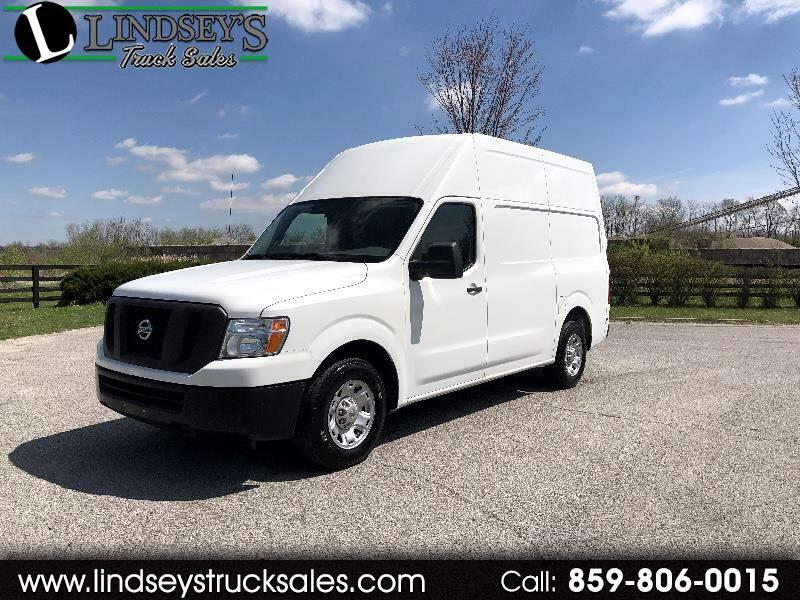 Hard to find high roof van with excellent miles! Van features include 4.0L V-6 engine -- 3/4 ton chassis -- automatic transmission -- bucket seats -- tilt steering wheel -- cruise control -- power windows -- power locks -- alarm system w/ keyless remotes -- AM FM CD stereo with auxiliary input jack -- center console -- cab divider -- cargo mat -- steel wheels and more. Tires are excellent all around. Off lease fleet maintained van. We have shelving and other contractor accessories for the van should you need them. Message: Thought you might be interested in this 2013 Nissan NV Cargo.